How can I request consent from new profiles? In the consent email you will sent to your added profiles, you'll find a link to the candidate page. On this page, the candidate can give you his or her consent and see his or her personal data. 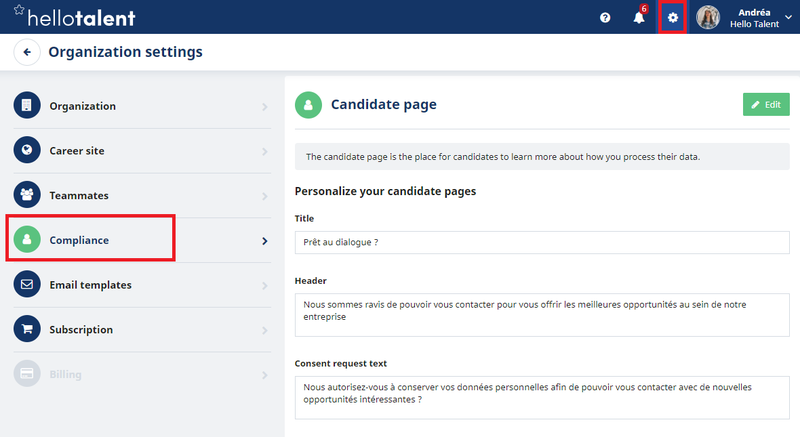 This page can be personalized in the Organization settings, in the "Compliance" section. Note: The profile needs to have an email address. 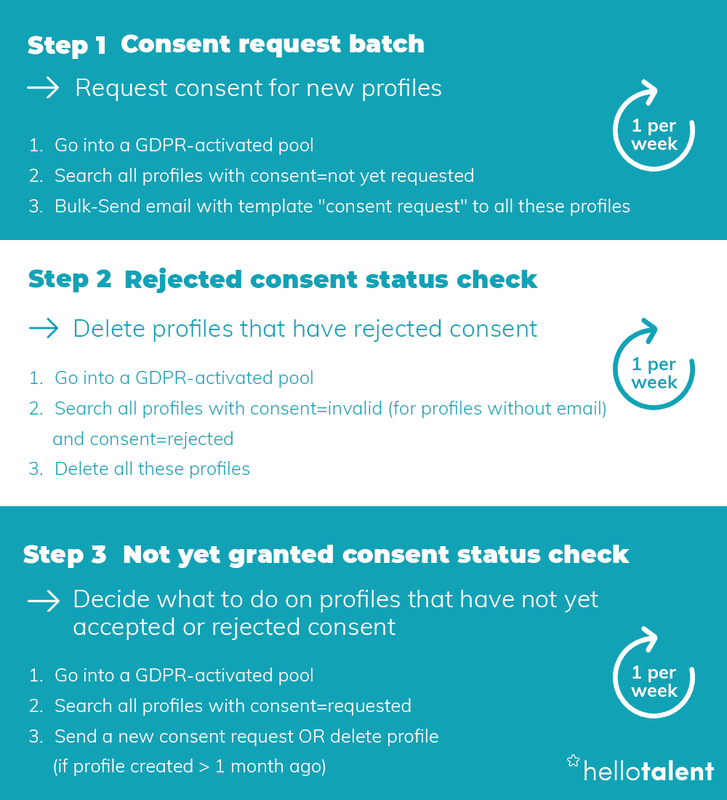 Hello Talent provides an email template to request consent. You can change it if you want.